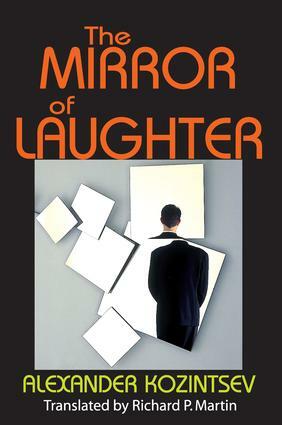 The Mirror of Laughter presents a theory of humor and laughter by examining their relationship to human behaviors. Kozintsev is especially interested in the relationship between biological and cultural factors that influence behaviors. He divides his work into four chapters, the first of which establishes a theme of the book, focusing on the study of meaning from the perspective of philosophy and psychology, while examining linguistic theories of humor. The second chapter examines biological data regarding laughter and the evolutionary origins of laughter and humor. It demonstrates the author's interest in studying humor objectively by detailing physiological reactions and underlying psychological issues. The third section on play, including linguistic play, distinguishes between orderly and disorderly play. While orderly play has no biological roots and is synonymous with culture, disorderly play is rooted in the pre-human past. The final chapter discusses the conflict between culture and nature and how culture has transformed the original semantics of laughter. Kozintsev seeks to understand the relationship between the biological, cultural, and social origins of humor and, from here, he seeks to create new understanding that only the alliance of several disciplines could provide. All of this is done while the author challenges many popular ideas of humor, such as that humor is inherently related to hostility. Originally written in Russian, this work makes great strides towards its goal, and it does so in an interesting and enlightening way.